Abe’s—named for Bayer’s late partner’s uncle named Abraham—wasn’t always the bright shop it is today. In 1984, the pawnshop was opened next door to its current location and was what Bayer called more of a “movie-type shop.” Bayer joined the Abe’s Pawn Shop team in 1995 before it moved locations in 1997. When designing the new location, Bayer wanted to create a place that was more comfortable and inviting. “Spending as many years in business as I have, eventually you become what you deal with and I’d like to have clean, decent standards,” he said. And these standards translate to the items Abe’s will accept from customers. The pawnshop inspects every item it receives and will only accept them if they are in reasonable shape. 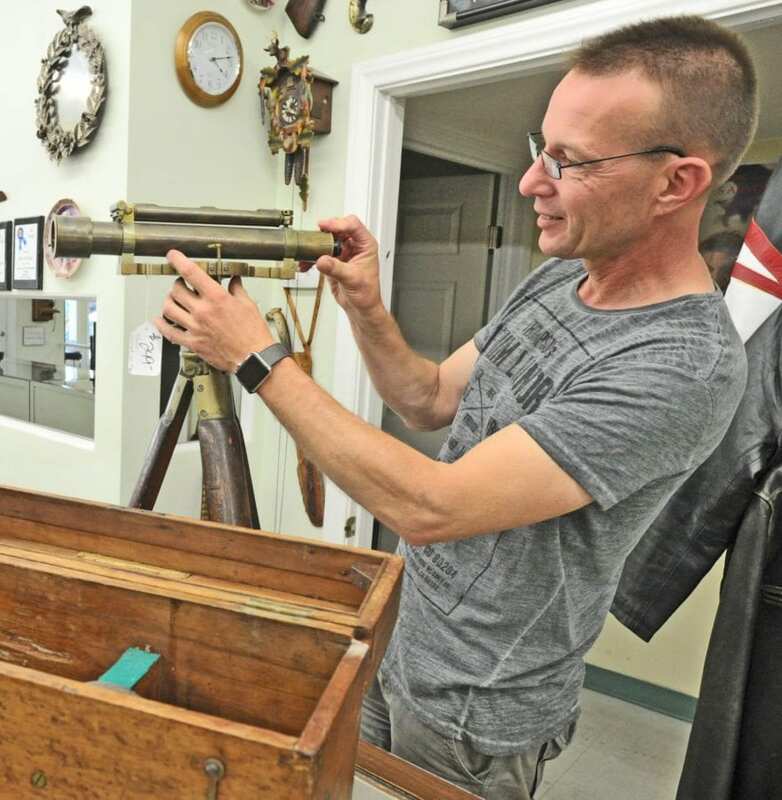 “You could go in most pawnshops and they’ll take just about anything in any condition,” Bayer said. “We try to stay away from anything that’s not in a condition that I would, if I were a consumer, want to buy.” This includes everything the shop will pawn, buy or sell including gold and diamond jewelry, watches, cars, motorcycles, RV’s, boats, trailers, tools, musical instruments, electronics, heavy equipment and more. “Whatever we think we can re-sell or re-market that we end up with, we’ll take it,” Bayer said. 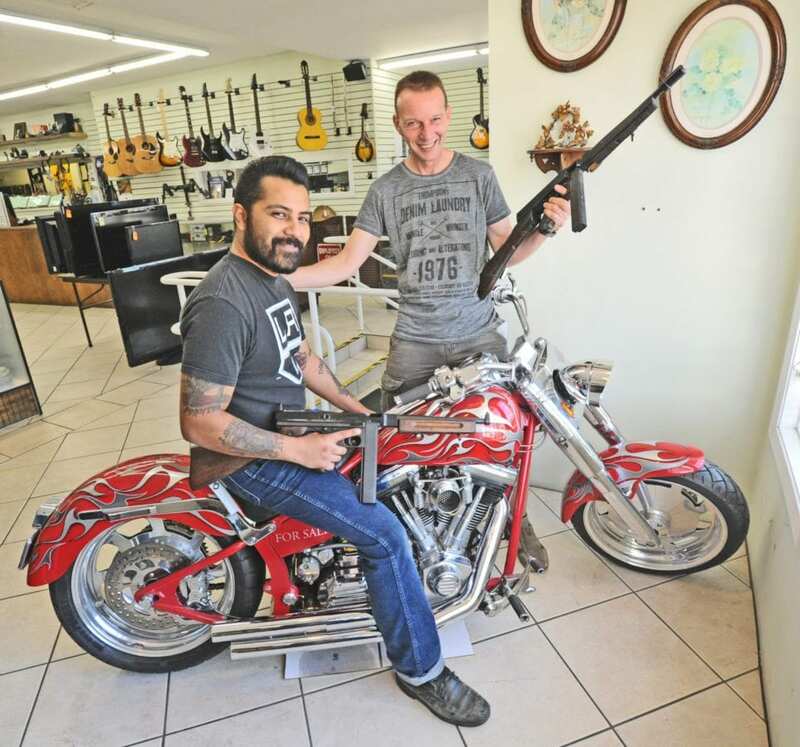 The shop does around 50 transactions per day, with its most popular pawned item being jewelry and most popular bought items being musical instruments, tools and electronics like iPads, iPhones and laptops. “Those are popular… because it is so much less expensive than it would be new or retail or going to a store,” Bayer said. Ray said sometimes the store will have random surges of customers throughout the day, especially during the morning and afternoon hours. “It feels like an energy: when somebody starts buying, and then other people start buying,” he said. According to Bayer, there is really no way to know what days will be busier than others. “I’ve been in this business for close to 25 years and there is no rhyme or reason to know on which day of the week, in which part of the year we have a line of customers or absolutely nothing,” he said. Abe’s Customers According to Bayer, most of Abe’s Pawn Shop’s customers are people that are using the location as a bank because they do not have credit or credit cards. They will pawn their items for cash as collateral to make ends meet or pay bills. “A very large percent of our customers are in and out weekly,” he said.